Green is not just a color, at least from the Rhino standpoint. Well, maybe it is a color if the definition includes Green’s mesmerizing fragrance, its many moods and nuances, intentions and muffled giggles, its potential for dynamic shifts and rhythms, its heroism and its generosity. 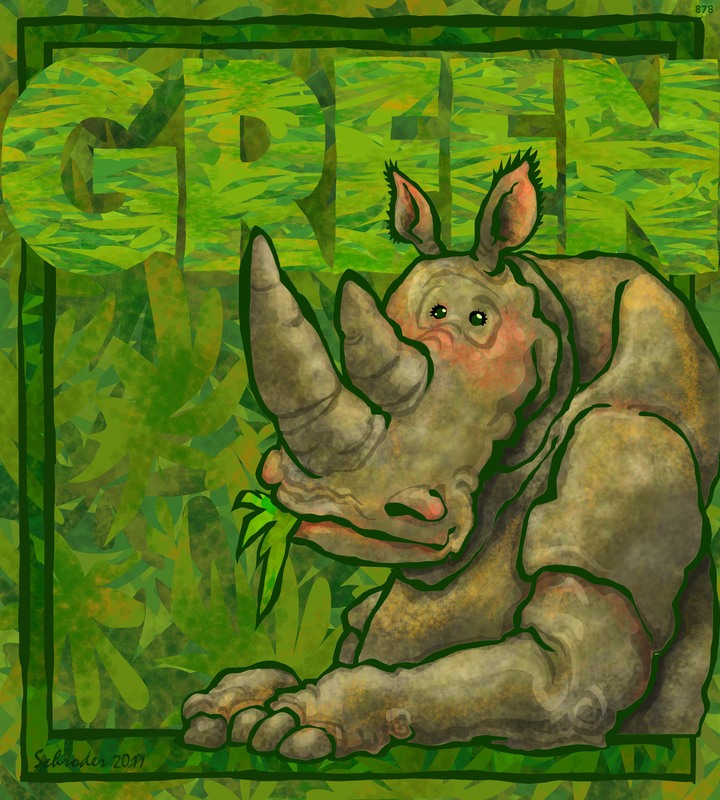 That’s our idea of Green; Rhinos feel privileged to be on the planet with it. Heroic, generous green…I love that. Your Inner Rhino gives credit where it’s due, no doubt about it. I love this! I feel the same way about green. That is Your Inner Rhino, functioning on all cylinders! Huzzah!